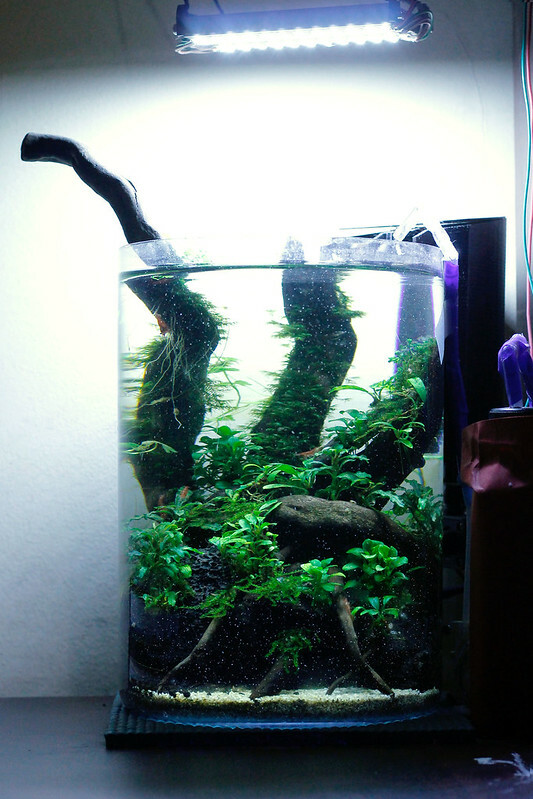 Sharing some photos of my 2 month old low tech planted vase. 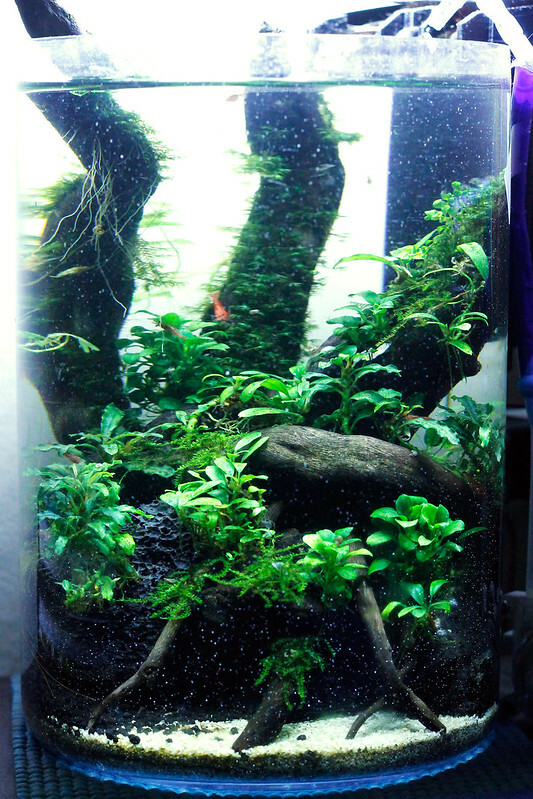 Plants are anubias petite, bucephalandra, fissidens fontanus, weeping moss and hydrocotyle tripartita. Filtration is through a 3D printed HOB filter. 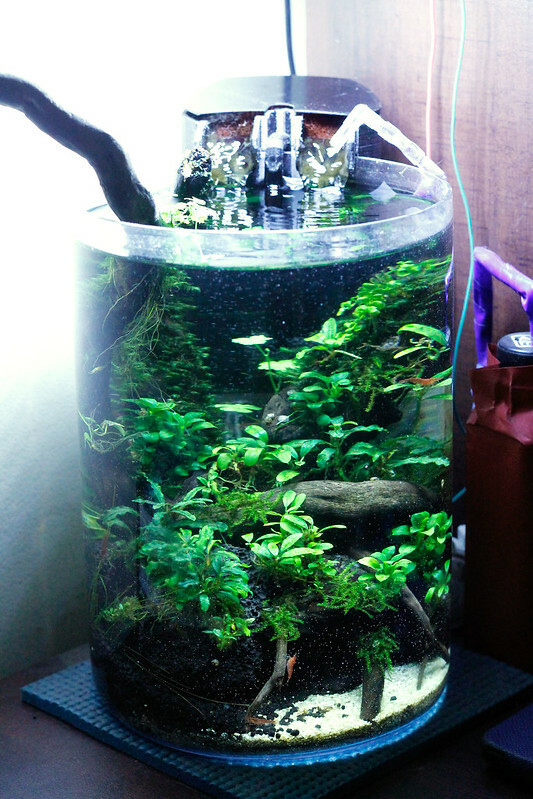 Auto dosing daily a DIY mix of All in One Fertilizers. Inhabitants are some RCS. 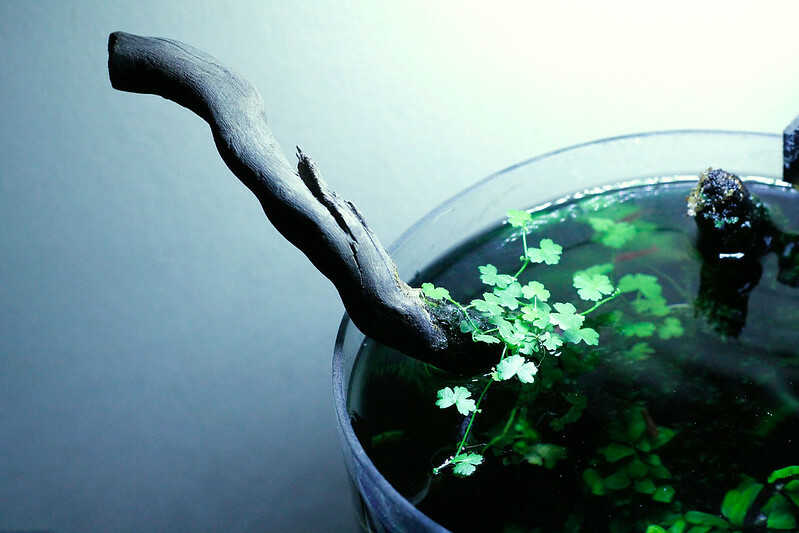 You need to tell us more about the 3D printed HOB filter man. Superb setup. Inspirational. How are the lights suspended, from the ceiling or something? I am guessing the need to 3D print the HOB was for on fitment needs? Yes can you tell us more about it. 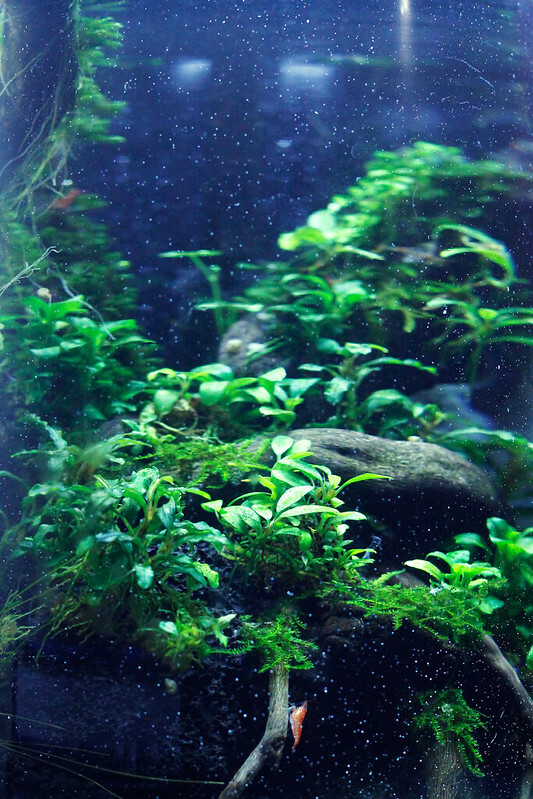 Moss and fissidens how are you managing the tank temperature, given the very low volume of water. 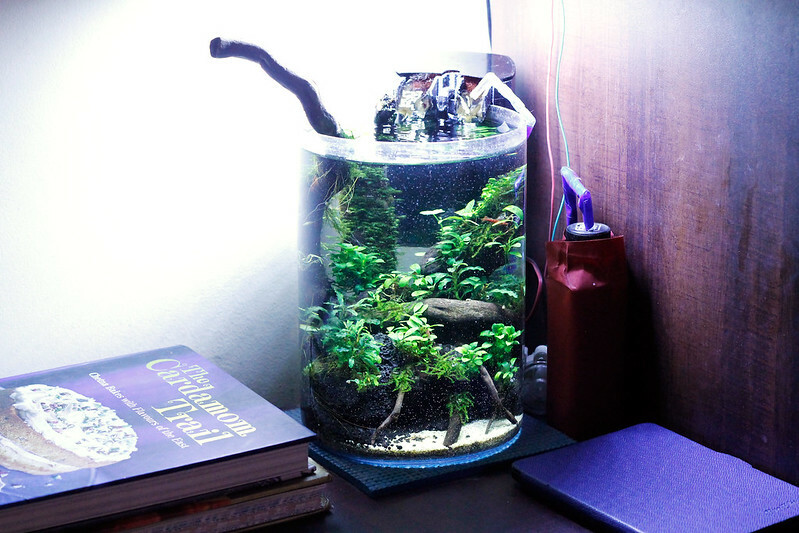 Can you share details of the DIY Fertilizer mix and the lighting used?